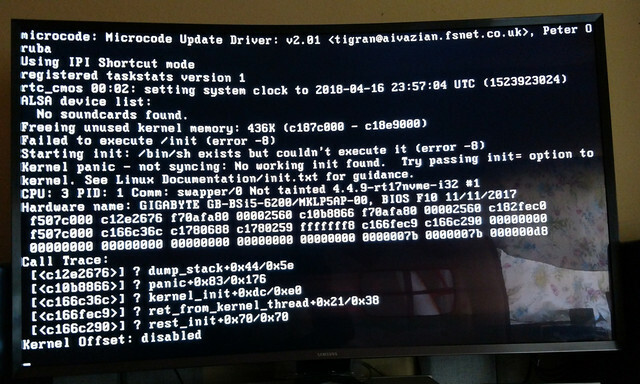 I see a lot a good comments about Snakeoil OS, so I try to install Snakeoil OS in my NUC (Gigabyte GB-BSi5-6200-rev-10). This NUC has Intel I5 6200U, 8GB Ram and Samsung EVO 960 PCIe NVMe M.2 SSD. I'm using Daphile 17.09-x86_64 without any problem. I installed Daphile in the same Samsung SSD very smooth. I created an USB for Snakeoil OS 1.0.0 and boot from this USB without any problem. But when I was in the first step of installing Snakeoil OS (at screen that show Try Ubuntu and Install Ubuntu), the process halted because it couldn't detect my PCIe M.2 SSD. I checked the BIOS and saw that the PCIe SSD was listed in NVMe Disk, not in SATA AHCI device. That's mean this PCIe M.2 SSD bypass SATA controller. It connects via PCI Express controller instead. Using SATA M.2 SSD could be one way to fix this problem. But the reading & writing speed of PCIe M.2 SSD is faster so much when comparing with SATA M.2 SSD (Up to 6 times for reading and 4 times for writing). That's why I still want to keep this PCIe M.2 SSD. Daphile could see my PCIe M.2 SSD easily, and install Daphile to this PCIe M.2 SSD go smoothly. Could Snakeoil OS offer another way to solve this incompatible with PCIe M.2 SSD problem? Hi, as you probably know already - Snakeoil OS uses a custom kernel with minimal drivers installed. That kernel will not work for everybody. So occasionally one has to pick another minimal kernel to work. You can find the NVMe install kernel here. Follow the (hopefully) simple instructions to update your Live USB to this new kernel. Once updated Snakeoil OS should detect your NVMe medium and you can then continue the install. Thank you so much for your fast reply. I have used NVMe kernel, but still not success. 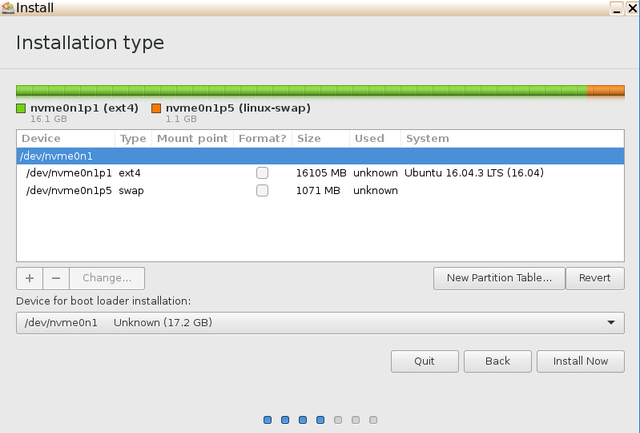 This time, Snakeoil OS couldn't come to screen that show Try Ubuntu & Install Ubuntu. It halted at the black screen as in attach image. Could you show me how to do the next step. (17-Apr-2018, 08:10 AM) VVFC Wrote: Thank you so much for your fast reply. I have used NVMe kernel, but still not success. 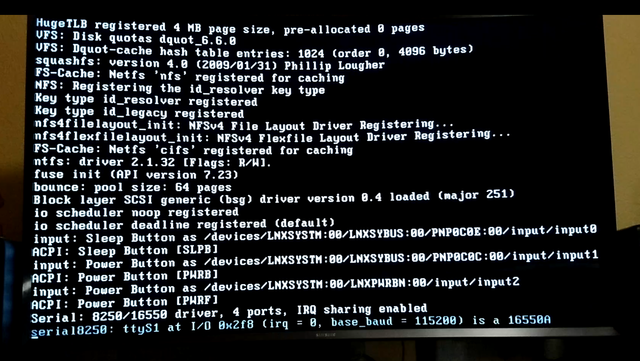 This time, Snakeoil OS couldn't come to screen that show Try Ubuntu & Install Ubuntu. It halted at the black screen as in attach image. Could you show me how to do the next step. Hmm.. Just before this, did you see any mention of SquashFS? Just to confirm - you've only replaced the vmlinuz file, and didn't delete any other files right? First, I only replaced vmlinuz file, and made a backup of original vmlinuz.backup as instruction. I didn't delete any other files, Agent_kith. My keyboard is Logitech Wireless Touch KM400 and it doesn't have pause button. So I couldn't pause screen at the middle to see SquashFS mention. Could you show me how pause in the middle of the screen? By the way, my SSD is Samsung M.2 PCIe NVMe EVO 960 (not the M.2 SATA Evo 960). It uses PCI Express controllers and bypass SATA controller. And could you make the kernel for both NVMe and Intel210 Network because my NUC maybe have both of them. (17-Apr-2018, 09:01 AM) VVFC Wrote: First, I only replaced vmlinuz file, and made a backup of original vmlinuz.backup as instruction. I didn't delete any other files, Agent_kith. Try the Scroll Lock if it has one? Another way is to just video record the bootup, and then review the video. (17-Apr-2018, 09:01 AM) VVFC Wrote: By the way, my SSD is Samsung M.2 PCIe NVMe EVO 960 (not the M.2 SATA Evo 960). It uses PCI Express controllers and bypass SATA controller. And could you make the kernel for both NVMe and Intel210 Network because my NUC maybe have both of them. Not much I can get from there i think... Fortunately I just remembered my home lab can virtualise a NVMe controller... I'd see if I can run some tests on this and get back to you.